Living Coasts offers visitors the chance to take a journey around the coastlines of the world without leaving Devon! With a fascinating variety of coastal creatures from penquins and seals to colourful puffins and sea ducks. Living Coasts gives you a chance to get close to some of the world’s most elusive creatures. Underwater viewing areas enable you to see seals and diving birds in the element. 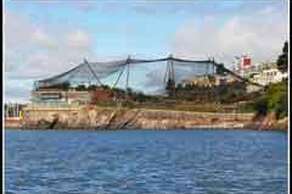 It’s not just famous landmarks you can visit in Torquay. One of the town’s most famous residents, Agatha Christie is one of the most successful crime writers of all time. Tours of locations that inspired this extraordinary author are available throughout the year. 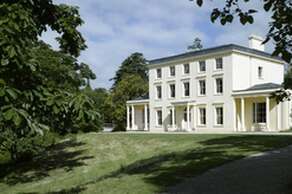 Take a steam train, ferry or vintage bus to Greenway House, the summer residence of Agatha Christie now run by the National Trust –it’s a wonderful day out. 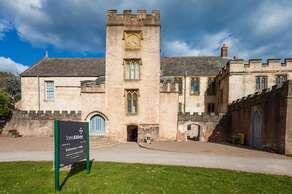 Torre Abbey is the oldest building in Torquay and has a history spanning over 800 years. Once the most important abbey of its kind in England, visitors can now explore the most ancient parts of the building and could even encounter the abbey's most famous ghost, ‘The Spanish Lady'. Surrounded by beautiful gardens, the abbey is a fascinating place to visit, particularly for history buffs. Uncovered by Victorian archaeologists, Kents Cavern is the most important Stone Age cave in Britain. 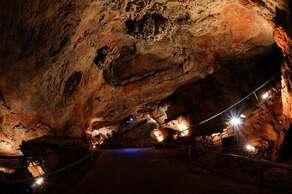 The two million-year-old caves offer visitors a chance to explore some of the most unique history about our ancient ancestors. Easily accessible (although some areas are not accessible for wheelchair users), the cavern is an underground adventure that will enthral young and old visitors alike. 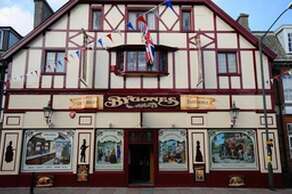 Bygones Museum gives visitors a glimpse into Victorian and Edwardian Britain, with a complete Victorian street scene and a working model railway charting the rise of British engineering and steam railways. There is also a WW1 trench and a WW2 Anderson Shelter, giving younger visitors a glimpse of wartime life for their grandparents and great-grandparents. A fascinating time capsule for all ages. 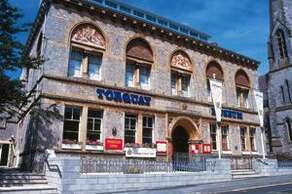 Torquay Museum is one of the oldest museums in Devon, and runs exhibits that include both local history and history from around the world. Torquay has produced many explorers, and their journeys across the Antarctic to the Brazilian rainforests are charted in interactive exhibitions and displays. As the sea is such an important influence on this area, why not spend a day aboard the Torbay Belle, cruising the coast of the English Riviera? 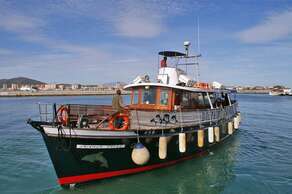 The Belle can cater for up to 250 people and runs day or evening trips along the stunning coastline of the bay. There are two spacious bars on board and the ship can even cater for wedding receptions. Many villages lay claim to being ‘picturesque’, but the village of Cockington is the real deal. 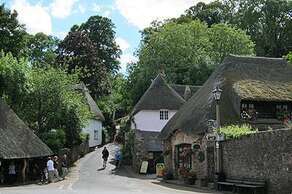 Take a walk back in time along Cockington’s narrow lanes, lined with thatched houses and you’ll experience a quiet charm that is quintessentially English. Everything about Cockington oozes with history –there’s a water mill, a forge and even the cricket pitch was once a medieval deer park. 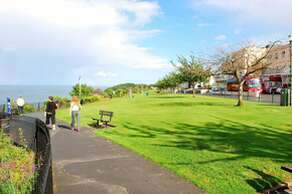 Only a few minutes level walk from Avron House are the downs of Babbacombe, a beautiful Victorian esplanade commanding magnificent views across the sea to Dorset. Take the funicular railway down to Oddicombe Beach and wander around the famous Babbacombe Model Village. The scenery on this picturesque line is breath-taking –from Paignton along the spectacular English Riviera Geopark coast line, to the charming stations at Goodrington and Churston then on through the wooded slopes of Long Wood bordering the Dart Estuary to Greenway Halt ( for the estate of the late Dame Agatha Christie ) and on to Kingswear. From spotting dolphins to seals, kingfishers to buzzards, pheasants, herons and egrets, the wildlife is stunning. With such a varied range of scenery and wildlife, this is one of the finest heritage steam railway journeys anywhere in Europe.